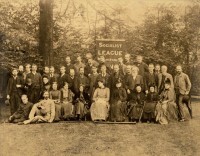 In 2008 I acquired an original photograph of the Hammersmith Socialist League. 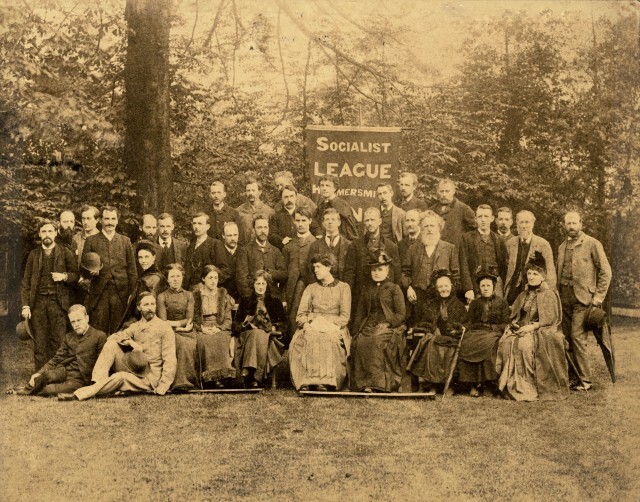 The photo is of considerable historical interest, widely reproduced in histories of the labour movement of the time, and includes William, Jenny and May Morris and many other leading figures of the time. Almost eight years of research on and off has uncovered its history, including who took it, where, when, why and the names of 31 of the 37 people in it. I have written up the story of this photograph and presented it to the Friends of ‘The Wilson’ in Cheltenham in May 2014 and to the William Morris Society at Kelmscott House in January 2015. 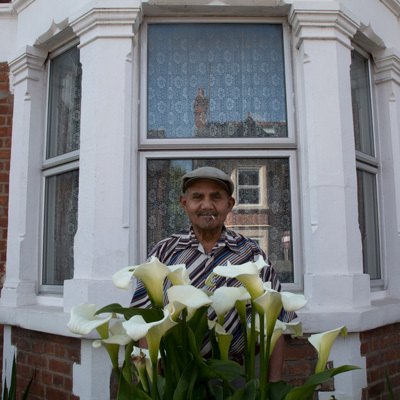 The Society Magazine published the final version in February 2017 with fascinating new information for drawn from a letter written by Clara Sparrow in the 1930’s, and a photo from the Catterson-Smith archive, which both became available in 2016. The article is reproduced in full below. Six names remain outstanding. Do contact me if you have any information as to whom they might be, or any further information on any of those mentioned.